A new lab seeks to innovate grower solutions in North America using UIUC’s student talent. To an outsider, Illinois’ corn fields may seem ordinary, but to students, faculty, researchers and companies working at the University of Illinois at Urbana-Champaign (UIUC), agriculture is where opportunity lies. UIUC in partnership with agriculture company Syngenta yesterday opened the Syngenta Digital Innovation Lab, a research facility that aims to further advance agricultural research on and off campus. The center was the last component of UIUC’s 2017 Agricultural Technology Innovation Summit (AgTech 2017), which took place Feb. 23 at Research Park. “We see ourselves as being really at a good spot for [AgTech] because of the strong engineering and computing reputations in Illinois, as well as our long legacy in agriculture,” said Laura Frerichs, director of Research Park and director of economic development for UIUC, in an interview. More than 100 companies — from startup to Fortune 500 — can be found working in UIUC’s Research Park, a technology hub for corporate research and development operations. Forbes.com named Research Park as one of the top 12 business incubators changing the world. In addition, it has the fastest supercomputer on a university campus, Blue Waters, at the National Center for Supercomputing Applications (NCSA), which is primarily funded by the National Science Foundation. Since Illinois — one of the biggest producers of corn and soybean — is where a lot of agronomy testing takes place, Frerichs said that UIUC has positioned itself as a leader in AgTech research. The newly opened Digital Innovation Lab offers access to tools, technologies, partnerships and resources that enable cutting-edge research. According to Frerichs, one thing they do differently from other universities with research parks is employ mostly students. UIUC’s Research Park currently employs about 600 students who get the chance work alongside industry professionals and receive real-world experience. With the addition of the newly opened Syngenta Digital Innovation Lab, UIUC seeks to foster “outside the box” thinking, using digital data innovation and strategy “to develop capabilities in breeding engineering, digital agriculture, information, technology, application development and big data,” according to a UIUC prepared statement. Furthermore, the center capitalizes on UIUC’s internationally recognized expertise in high performance computing (HPC), data sciences and agriculture science. 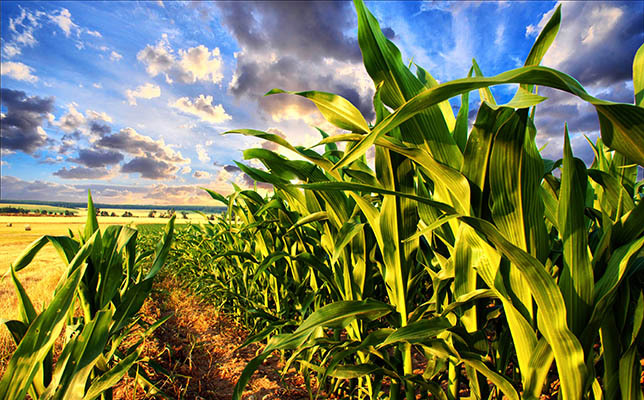 The Bill & Melinda Gates Foundation, for example, has an existing licensing arrangement with UIUC to use large-scale supercomputing models to look at how CO2 exposure to plants will increase crop yields and food productivity. Agriculture companies like Syngenta serve as commercial partners that can see how the research can reach the marketplace. The Syngenta Digital Innovation Lab will employ a full-time director, professional staff and employ students who will work on developing projects. Students are currently being hired to work at the lab, which expects to be fully operational by this summer. To learn more, visit UIUC’s Research Park site.